Board certified dentists in Yonkers are specialists in family, cosmetic dentistry, periodontics and orthodontics. Our state of the art family and cosmetic dentistry in Yonkers equipped with the most advanced equipment available in USA including latest lasers & high precision microscopes. Our best in class Yonkers dentists open on Saturday, Sunday and are committed to providing you with the highest quality dental care in a warm and welcoming Yonkers state-of-the-art dental center. (Sunday dentists by appointment only). Continue on Bronx River Pkwy to Yonkers. Our Yonkers dentists are located on the left side between Delavan Terrace and Glenwood Ave.
Continue on New York State Reference Rte 984L/Tuckahoe Rd. Dentists in Yonkers NY are located on the right side between Glenwood Ave and Delavan Terrace. Take I-295 N, I-695 N, Hutchinson River Pkwy N and Cross County Pkwy/New York State Reference Rte 907K to Yonkers. Dentist in Yonkers NY are located on the left side between Delavan Terrace and Glenwood Ave. Follow I-287 W and I-87 S to New York State Reference Rte 984L/Tuckahoe Rd in Yonkers. 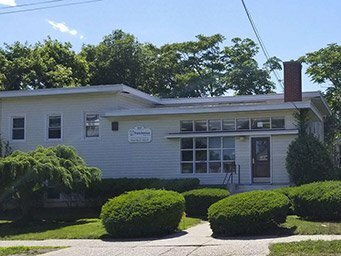 Dentist Yonkers NY are located on the right side between Glenwood Ave and Delavan Terrace. For more information or to schedule an appointment with the best in class dentists in Yonkers NY, Farzin Farokhzadeh, D.D.S., John Habib, D.D.S., please contact our Yonkers dentistry center.